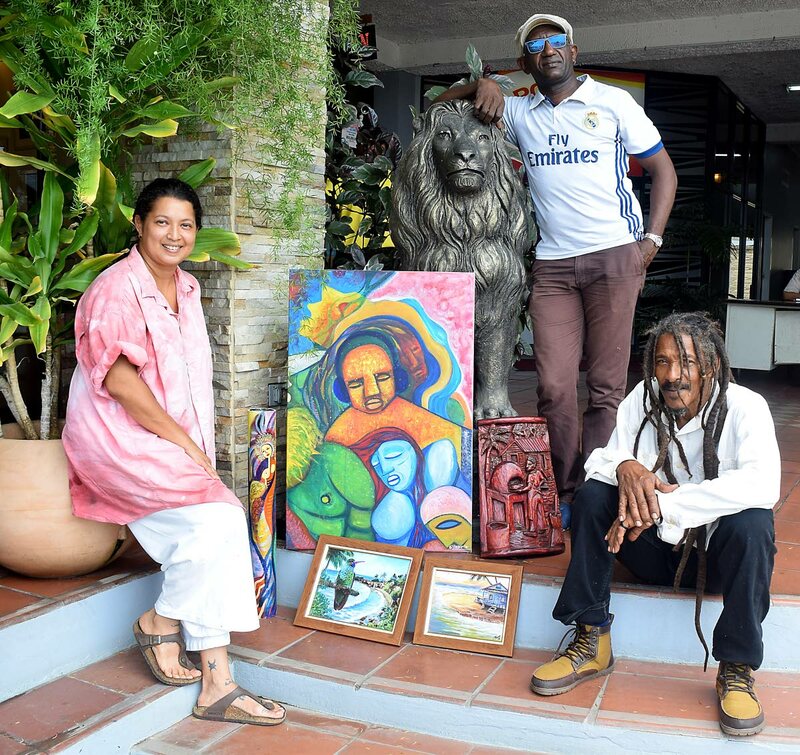 Artists Jeannine Lethe Crouth, Chris Thomas and Joseph Bacchus will be hosting an exhibition, Melee and Mythos in Tobago Lore, on July 22 at the Shaw Park Cultural Complex. The exhibition will showcase of 24 small paintings, six sculptures, four semi-relief sculptures, one large carnival costume, a large 4ft by 8ft special interest piece and six installation pieces. The exhibition, originally intended to be a private showing, is now one of the feature events on the 2018 Tobago Heritage Festival. Crouth said it was on the suggestion of Shaw Park’s chairman John Arnold that she decided to link the exhibit to the Festival. "I I gave them several themes to choose from and eventually between myself and the Tobago Festivals Commission Mr George Leacock and Mr Dexter Trim, we settled on this theme as being heritage so that is how that whole thing happened," she said. The inspiration for the name of the exhibition was derived from the artists' yearning to highlight and bring awareness to everyday topics and subject matters that affect citizens on the island, and bring to the forefront Tobago's lore, culture and heritage. "In the exhibition, what you will have is a series of topics that covers Tobago's way of life, the festival, dances, folklore characters and ideas, system of beliefs, everything that is Tobago," Crouth said. his inspiration for participating was the development of art across the board, to include young aspiring artists. "There are a lot of other artists who just don't get that publicity that is so needed. This is not about money, it's about the development of art and artists on the island, he said. Sculptor Joseph Bacchus hopes the show will provide inspiration and an avenue for the younger generation of artists. "We have to love the youth because there are children coming from the school (system) that might become professional artists, but if they don't have the opportunity, we will never know, if there are no museums, nor spaced for public appreiation, there is no love,” he said. The exhibition, Melee and Mythos in Tobago Lore, will open on July 22 at 5:30pm at the Shaw Park Cultural Complex and run until August 1, from Monday to Saturday between the hours of 10am-5pm and 10am -2pm on Sunday and public holidays. Reply to "Melee and Mythos in Tobago Lore opens on July 22"